(leading to ExpertRating Spirituality, Health and Healing Skills Certification). introduce you to a spiritual and multicultural perspective on health care. The Spirituality, Health, and Healing certificate program provides health care professionals in a wide range of careers with the knowledge and skills to effectively meet the needs of a spiritually, religiously, and culturally diverse patient and client population. Today, opportunities exist in the fields of nursing, parish nursing, teaching, hospice care, service, administration, and research. Opportunities also exist within government programs and agencies; public and private institutions that provide health, education, and social services; research centers; special interest groups; colleges and universities; and corporate human resources divisions. Certificate in Spirituality, Health, and Healing requirements: For taking this Certificate in Spirituality, Health, and Healingyou need Internet access, e-mail, and the Microsoft Internet Explorer or Mozilla Firefox Web browser. Certificate program must be completed within six weeks of the start date. ExpertRating is one of the world's only ISO 9001:2015 Certified companies (from TUV America) offering an Online Spirituality, Health and Healing Certification Course (leading to ExpertRating Spirituality, Health and Healing Certification Skills Certification). When you choose the ExpertRating Online Spirituality, Health and Healing Certificationyou can be sure that you are buying a premium International certification that is recognized by hundreds of employers and Government bodies in the US and other countries. With ExpertRating you get certified quickly online and you are equipped with a store house of information through the in-depth ExpertRating Online Spirituality, Health and Healing Certificationware which has been developed by experienced Healthcare Experts. The ExpertRating Spirituality, health and healing Certification is by far the best value for money Spirituality, health and healing Program at $249.99 . How much does the Spirituality, health and healing Certification cost and what does it include? You can buy this ExpertRating Online Spirituality, Health and Healing Certificationleading to Spirituality, health and healing certification at a special offer price of only $249.99 which includes the in-depth ExpertRating Online Spirituality, Health and Healing Certificationware and exam fee. This is the best value for money Spirituality, health and healing Program available till date. You get the following services within the USD $249.99 fee. In-depth ExpertRating Online Spirituality, Health and Healing Certificationware including scenarios and case studies. World wide airmail delivery of the hard copy Spirituality, health and healing Certificate. The Spirituality, health and healing Certificate can be used to prove your certified status and does not mention the words "online". The process of getting yourself certified is very simple. All you have to do is buy the ExpertRating Online Spirituality, Health and Healing Certificationfor $249.99 . Log in to the online classroom using your password. Go through the ExpertRating Online Spirituality, Health and Healing Certificationware (which would take you 6 weeks) and complete the final Spirituality, health and healing Certification exam at your convenience. You can complete the exam within 2 months of buying the Spirituality, health and healing Certification. The result of the exam appears as soon as it is completed, and your Spirituality, health and healing Certificate is mailed immediately. 24 x 7 hour access to the courseware. 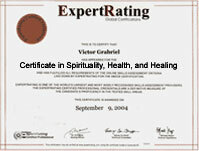 A printer friendly version of the ExpertRating Online Spirituality, Health and Healing Certificationis also provided. Chapter assignments to help you practically use the Spirituality, health and healing that you will learn during the Spirituality, health and healing Course. The final exam is fully based upon the ExpertRating Online Spirituality, Health and Healing Certificationware that is provided along with the Spirituality, health and healing Certification. If you have gone through the courseware properly you should not have a problem clearing the exam. The exam consists of multiple choice questions from all chapters of the ExpertRating Online Spirituality, Health and Healing Certificationware. ExpertRating Online courses commence every month, you can always choose a suitable date for your course commencement in any month. To see available course start dates, please click on Buy the ExpertRating Online Spirituality, Health and Healing Certification. All courses run for six weeks, with a two-week grace period at the end. Two lessons are released each week for the six-week duration of the course. You do not have to be present when the lesson is released, but you must complete each lesson within two weeks of its release. Medical professionals will be able to deliver effective, compassionate and spiritual care to the clients after completing this course. 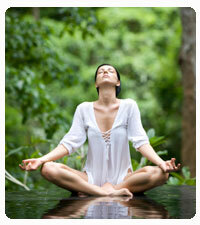 Spiritual healing plays a significant role in curing health problems and in healing. There is not a better combination than the services of a knowledgeable health provider blended with compassion and care towards the patient. The main goal of this course is to discuss in detail the way in which spirituality and heath and healing meet each other. The takers of this course will be able to view health and healing from a spiritual and scientific perspective. This is a valuable course for nurses and nursing assistants and individual care givers. The ExpertRating Certificate in Spirituality, Health, and Healing course will guide medical professionals on how to blend health and healing with spirituality. The Online Alternative Medicine Course is accredited by ALLEGRA Learning Solutions, which is accredited as a provider of continuing education in nursing by the American Nurses Credentialing Center's Commission on Accreditation. Accreditation refers to recognition of continuing nursing education only and does not imply Commission on Accreditation approval or endorsement of any commercial product. 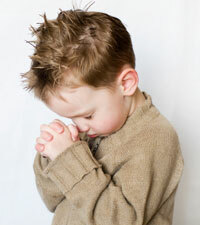 ExpertRating Online Spirituality and Health Course is acceptable for CE contact hours in all states. This course meets the qualifications for the stated hours of continuing education credit for MFTs and/or LCSWs as required by the California Board of Behavioral Sciences. One (1) CEU is equivalent to ten (10) contact hours of continuing education. If you require continuing education credit form a board or association, please contact your state board or association for individual approval. Participants are encouraged to verify acceptability with their board or association prior to paying for continuing education credit. Approved programs meet the conditions of credential or licensure renewal. However, it is your responsibility to be sure your state recognizes distance learning programs as valid continuing professional education. Be sure to obtain current information since the number of hours and types of programs approved by credentialing and licensing bodies changes from time to time.